Home / Eleaf iJust Start / Eleaf iStick / iJust / iJust Start / iJust Start Kit / iStick Start Kit / iJust Start Kit iS Onsale At The iStick Official Authorized Store ! iJust Start Kit iS Onsale At The iStick Official Authorized Store ! 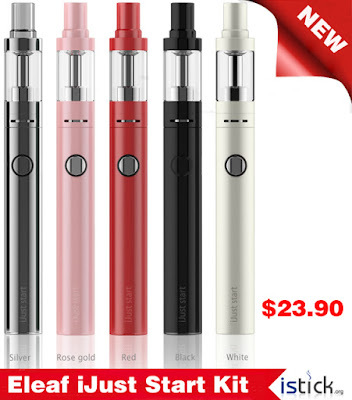 iJust Start Kit ,Inheriting the simple design of iJust series e-cigarette kits, the new iJust start mainly features its direct output voltage, side charging port and adjustable air inflow.1300mAh for iJust start, the iJust start also comes with various attractive colors for your options.